At the beginning of the last century Angelo Vantini started growing robust and selected vines on the grounds around his manor house. Right in the middle of the classical wine-growing region of Valpolicella he laid the foundation for a family enterprise which even today is still going strong. Already in its third generation this enterprise which is rich in tradition is under the management of a member of the family, Luigi Vantini, the founder’s grandson. Those who want to learn about the world famous Valpolicella wines have come to the right place as this wine-growing estate produces well-known quality wines. Adjoining the rural manor house, but housed underground you can visit the beautiful, recently expanded cellar. This wine-growing estate is very popular among German tourists, a fact confirmed by the considerable entries in the guest book. The hostesses Barbara and Katia warmly welcome their guests. They know a lot of short anecdotes round the topics of wine, the country and her people. Groups are welcome to get to know the history of the wines as well as the family enterprise. Visitors are very welcome to taste the cellar’s wines and to visit the wine-growing estate. Should you wish to do so, you can also taste the local cheese, homemade salami and bread alongside the wine. The bouquet of the fine wines can thus be fully brought to the forth. 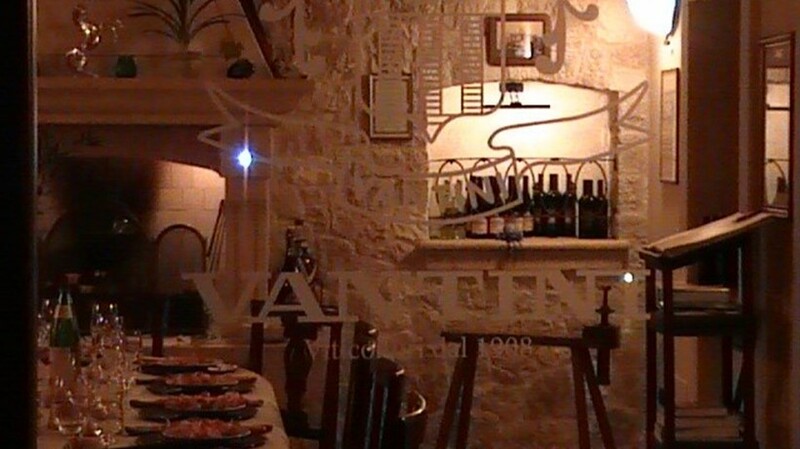 In pleasant surroundings it is a joy to taste the wines and get to know interesting facts about the cultivation, harvest and production of wines from the Valpolicella region. A guided tour through the estate past the old wooden barrels to the huge, modern steel barrels rounds off the informative visit.